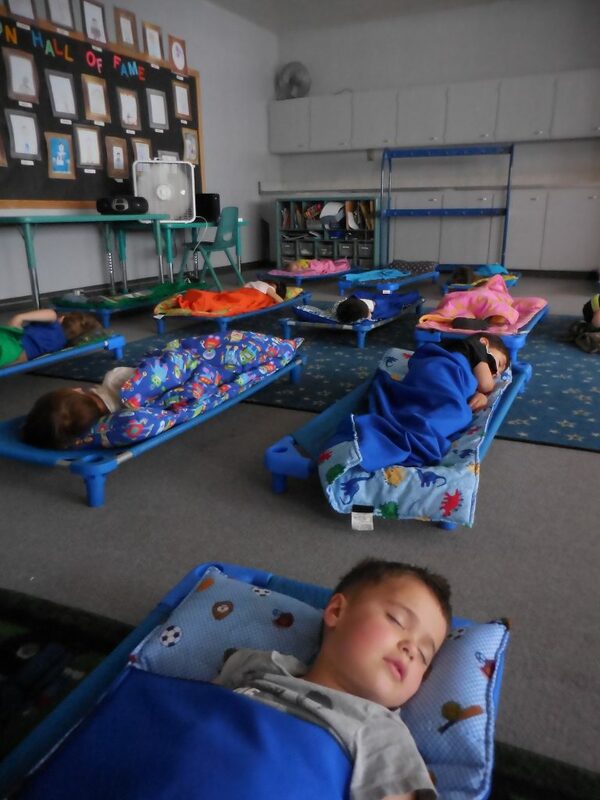 Children who attend the center for 5 hours or more are required to nap or rest. This will be decided at the time of enrollment based on the family routine. Nap time begins after lunch and continues until 1:45 pm. Rest time begins after lunch and lasts 20 to 30 minutes. Individual cots are provided, but children need personal mats which are made available in the office. All mats need to be clearly marked with the child’s name. Mats are to be taken home weekly to be washed. Each child needs a rest mat, which is made available in the office. Children who rest are not expected to sleep but just to rest quietly. Resters are allowed to sleep for 30-45 minutes when they fall asleep if it does not interfere with their evening sleep pattern.